Let the adventure begin with Nerf Rebelle Charmed EverFierce Dart Blaster Bow. The EverFierce Bow fires 4 foam darts in a row without reloading. Load 4 darts into the bow, then pull the handle back and release it to send 1 dart sailing through the air. 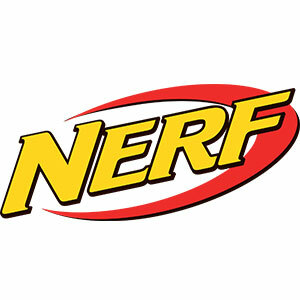 The Nerf Rebelle Charmed EverFierce Bow fires darts up to 75 feet (22 meters). Join with friends to lead the way into action and adventure with the Nerf Rebelle Charmed EverFierce Bow! Includes: 1x bow, 4x darts, 1x charm bracelet with 3x charms and instructions. Bow fires 4 darts in a row up to 22 meters (75 feet) without reloading and comes with 4 darts. Wear the bracelet or attach it to the bow. Bracelet includes Leadership charm, Champion charm and Strength charm.